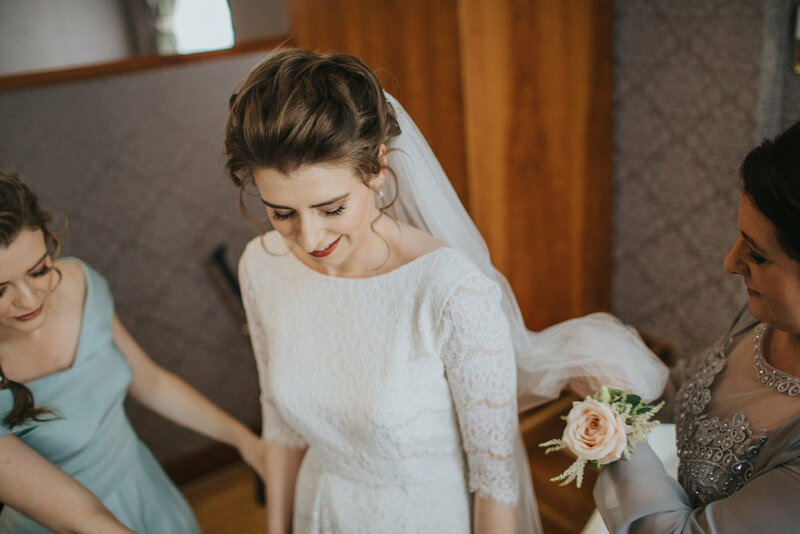 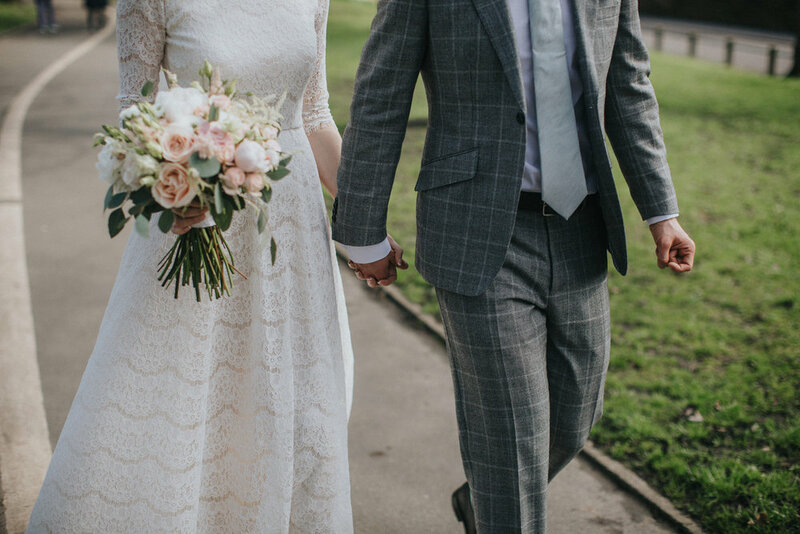 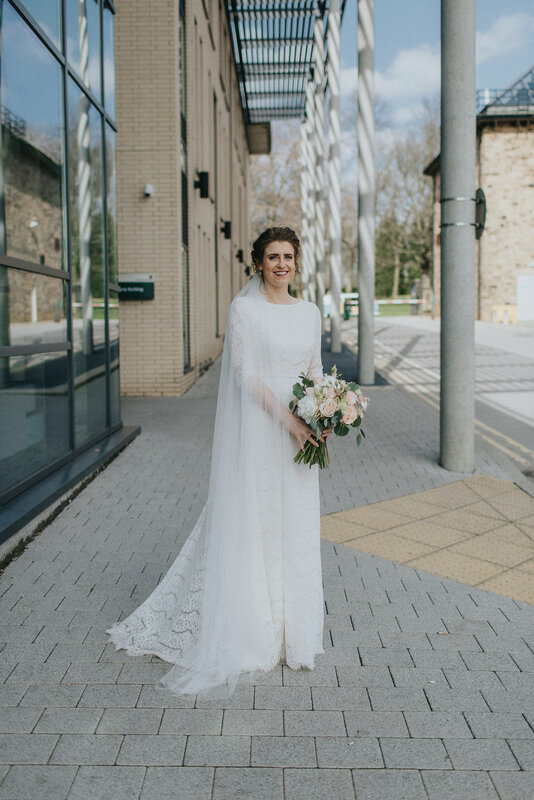 Rebecca chose my Dahlia lace and silk gown, but altered the square back to a deep V, and swapped the floaty sleeves for fitted ones that finished at the elbow. 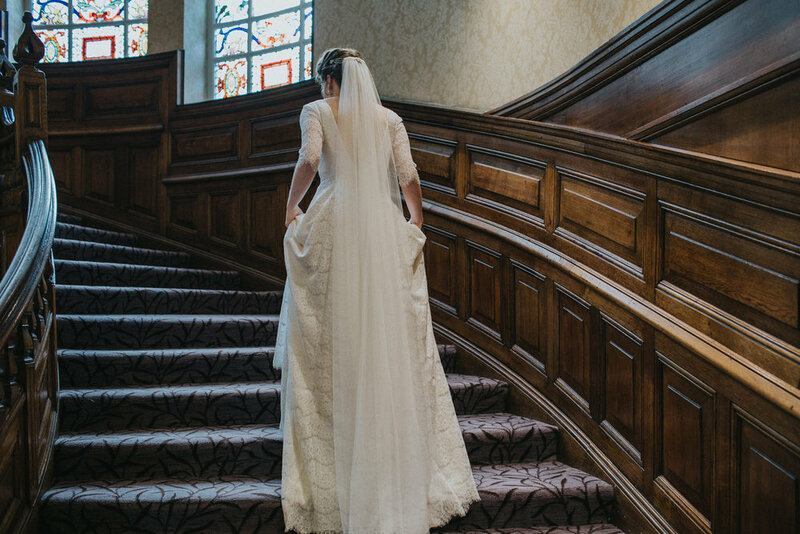 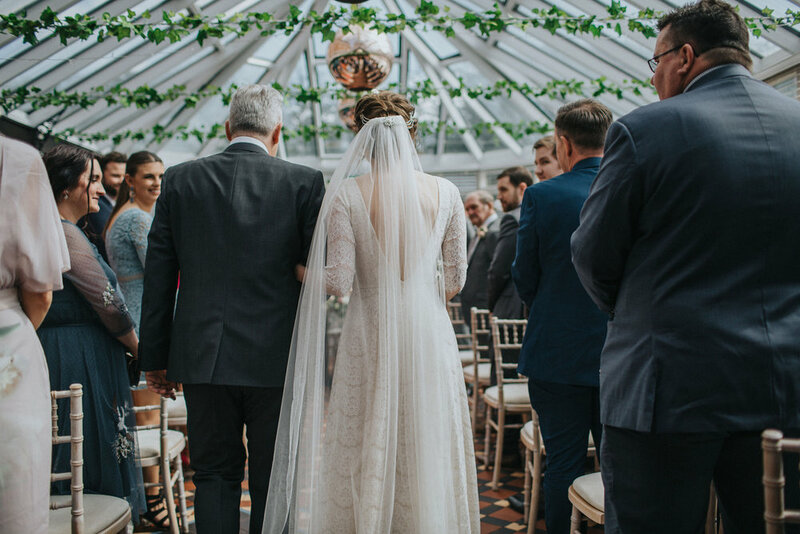 We kept the lace a couple of scallops longer at the skirt’s back hem, and Rebecca added a picot edged veil from my studio samples to finish the look. 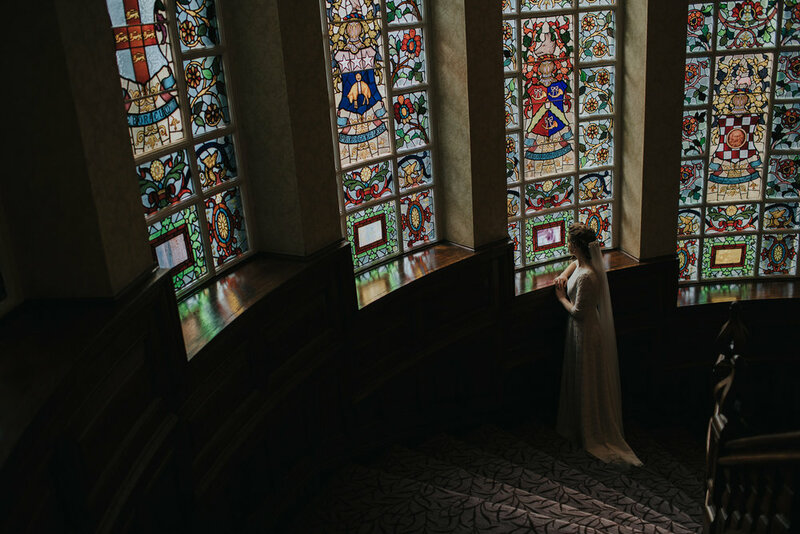 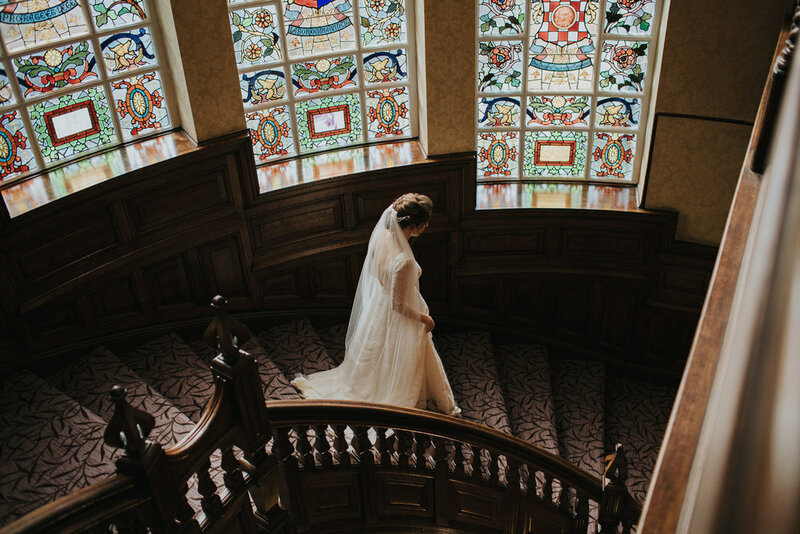 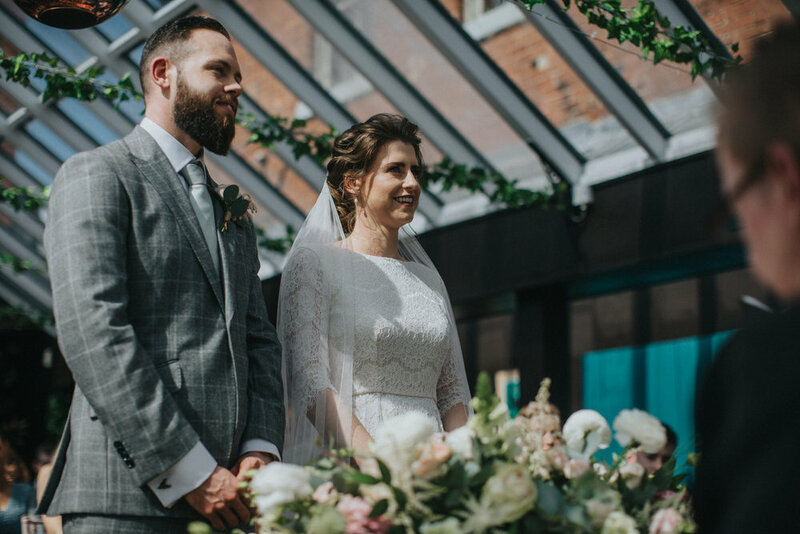 Rebecca and Ryan had their ceremony and reception at The Faversham in Leeds. 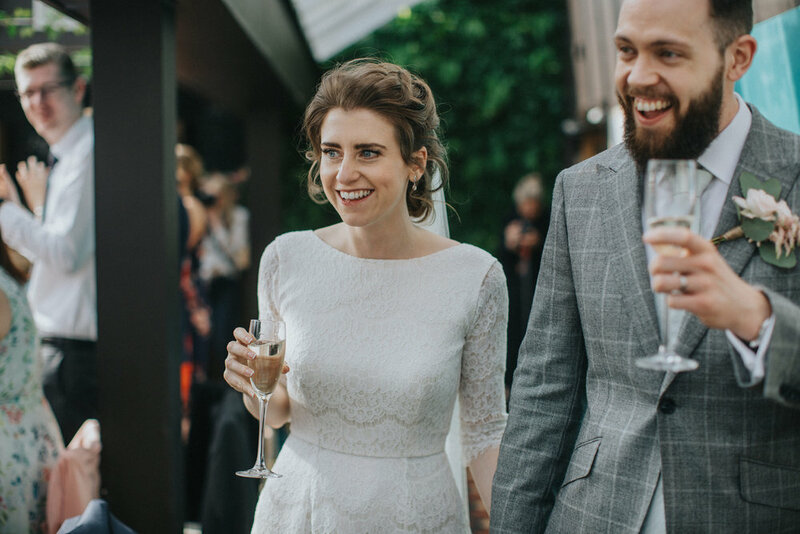 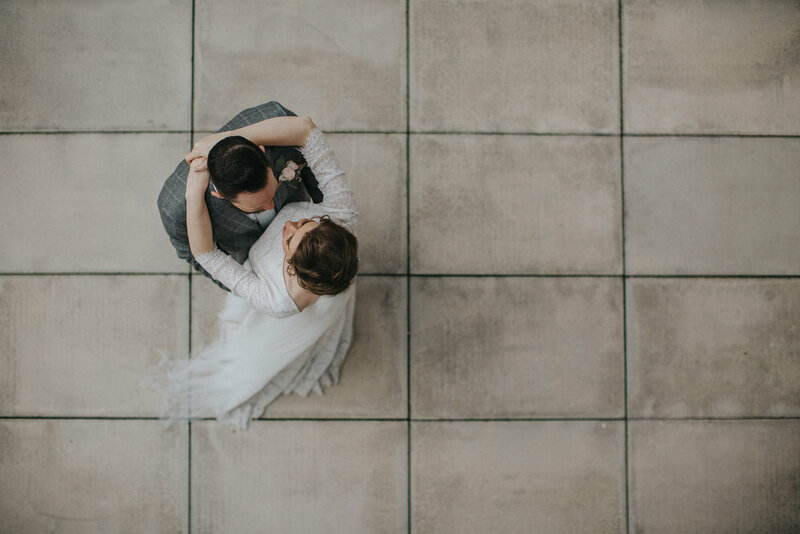 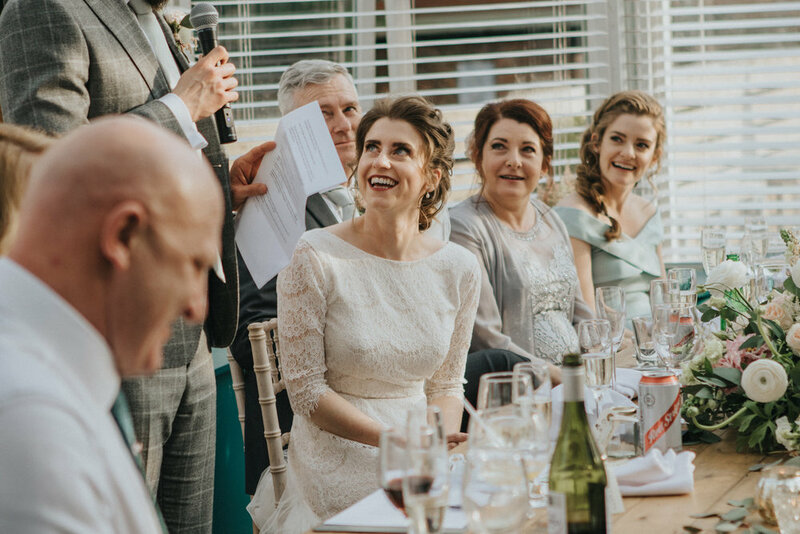 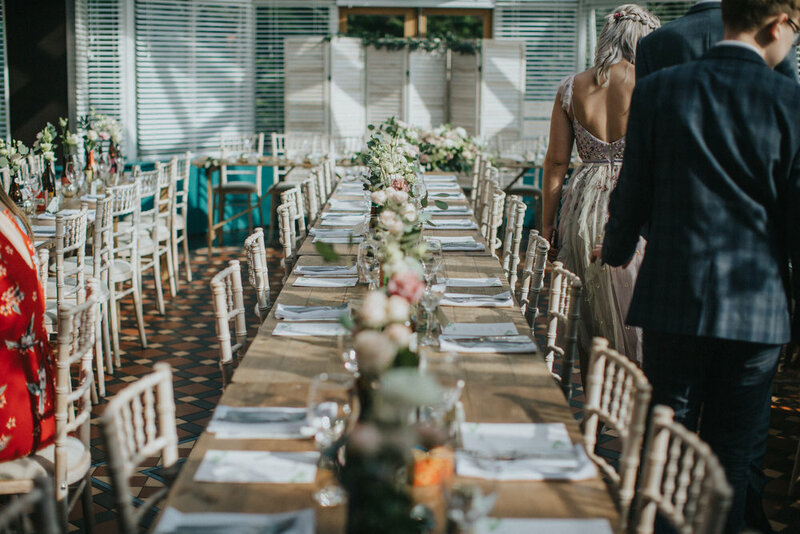 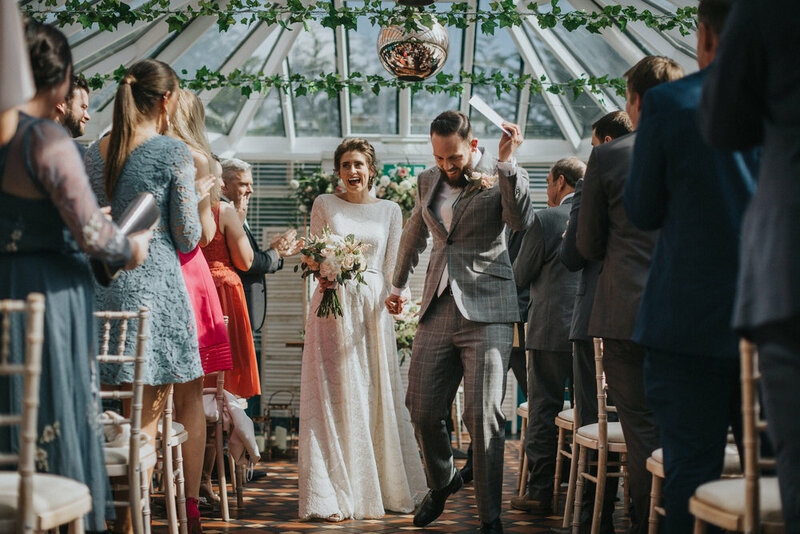 This cool and quirky venue boasts a lovely conservatory with a striking tiled floor, which they filled with peachy toned flowers and greenery to stunning effect. 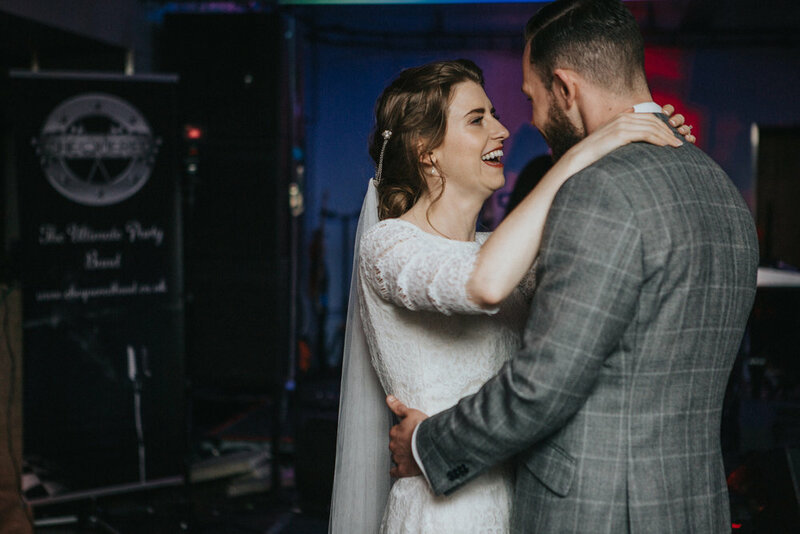 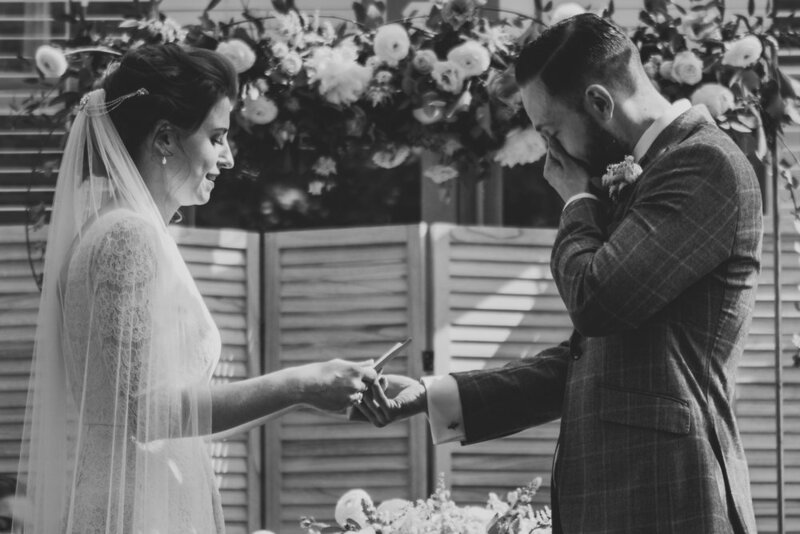 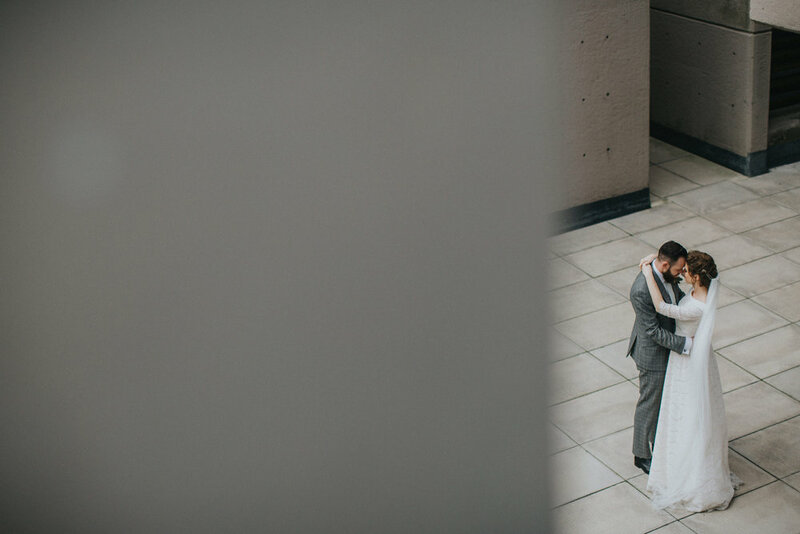 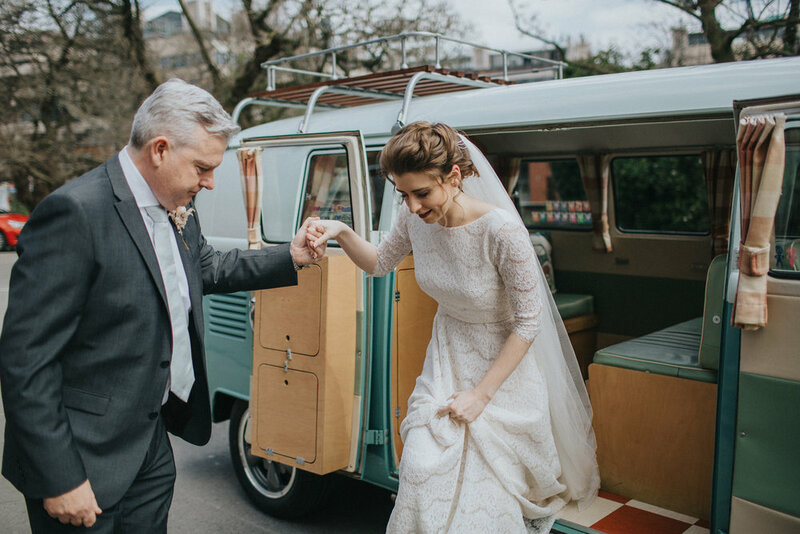 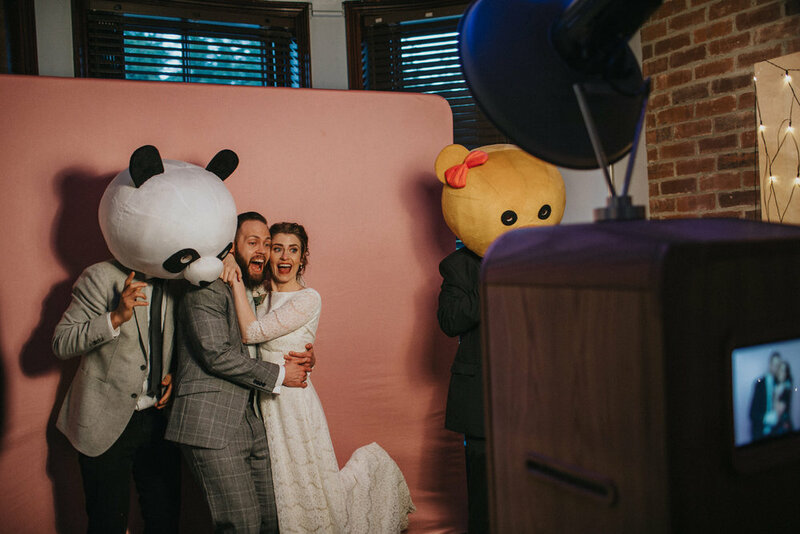 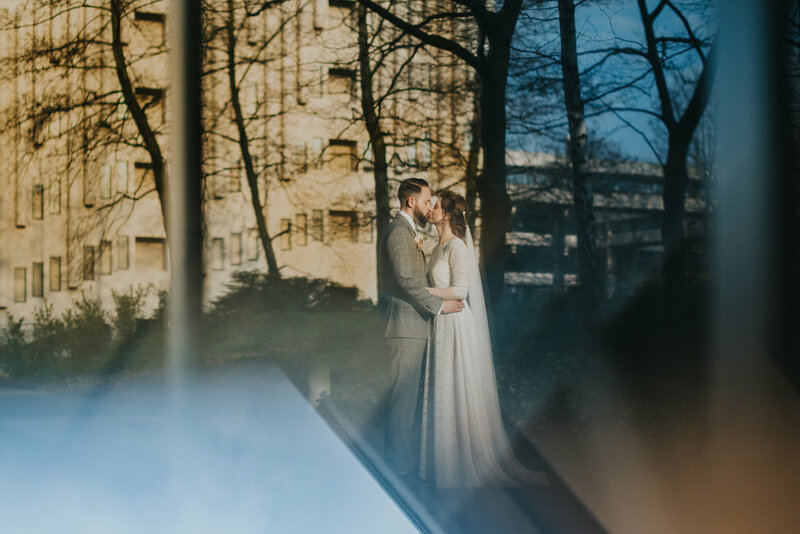 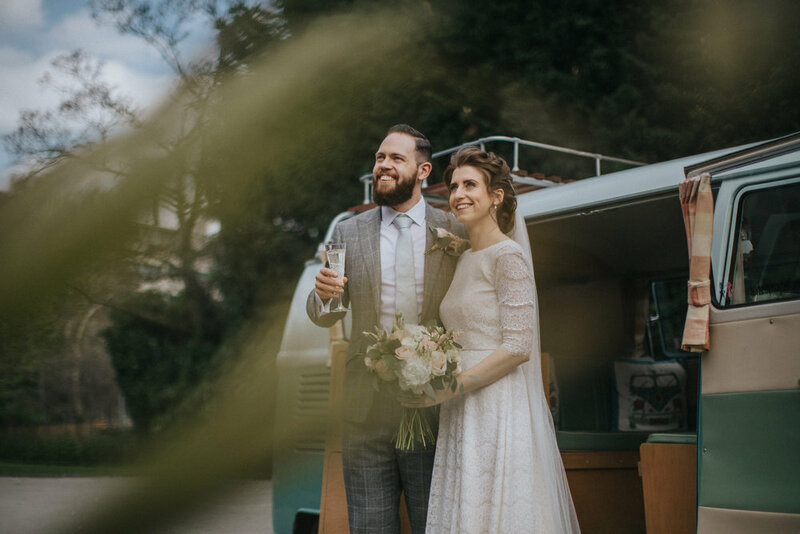 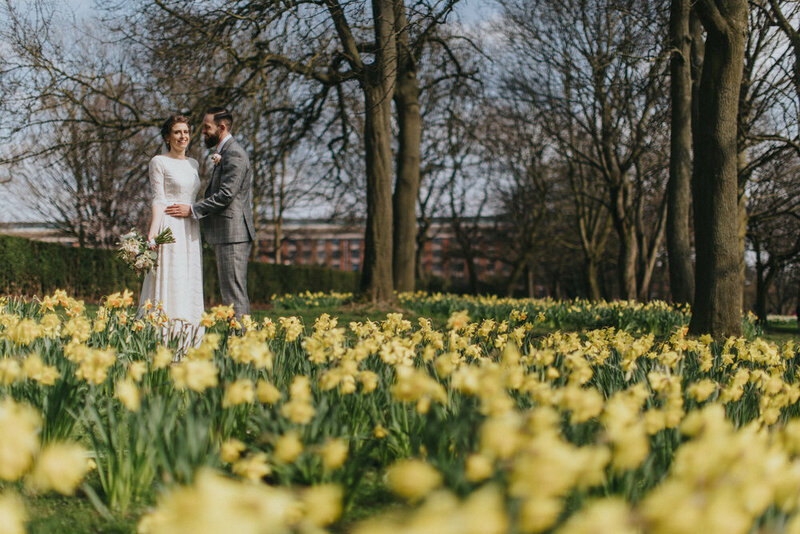 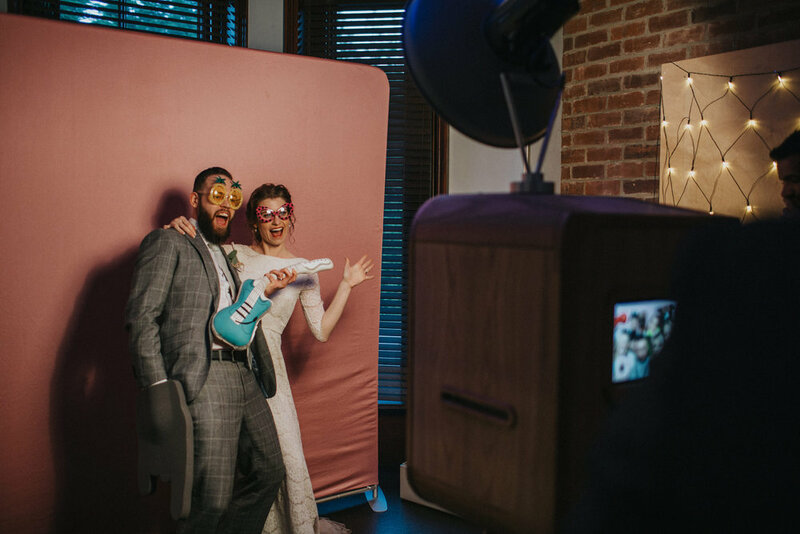 Rebecca and Ryan wrote their own vows, full of sincerity, humour and emotion – they made me cry when I watched their wedding video!